Hours before the Election Commission announced the dates of the Lok Sabha polls, India and Saudi Arabia came to an understanding to revive and 'expedite' the implementation of $44 billion West Coast refinery project in Maharashtra, in which Saudi Aramco will be holding a considerable stake. The decision may have political repercussions in the state as setting aside the project was one of the conditions put forward by the Shiv Sena for an electoral tie up with the Bharatiya Janata Party (BJP). 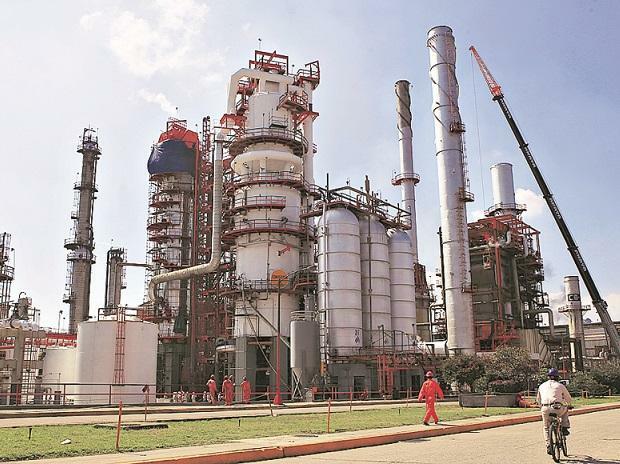 Global majors such as Saudi Aramco and Abu Dhabi National Oil Company (Adnoc) had formed a joint venture with Indian state-run oil marketing companies — Indian Oil Corporation (IOC), Bharat Petroleum Corporation (BPCL) and Hindustan Petroleum Corporation (HPCL) — to hold 50 per cent stake in Ratnagiri Refinery and Petrochemicals (RRPCL). However, the progress of the project had got a jolt after 42,000 notices for land survey and acquisition, which were served to families in 17 villages of Ratnagiri district, were put on hold by the state government, following an electoral arrangement between Sena Chief Uddhav Thackeray and Chief Minister Devendra Fadnavis. This was following protests by the locals citing the impacts the project will be having in an environmentally sensitive area. The project was expected to be commissioned by 2025 according to the understanding between both the nations. The was one of the major talking points in a meeting between Petroleum Minister Dharmendra Pradhan and his Saudi counterpart and the chairman of Saudi Aramco, Khalid A Al-Falih, in New Delhi on Saturday. “The ministers reviewed various Saudi investment proposals in the Indian oil and gas sector, including the urgent steps to be taken to expedite the implementation of the first joint venture West Coast Refinery and Petrochemical Project in Maharashtra, estimated to cost the US $44 billion, which will be the largest greenfield refinery in the world,” a government statement said on Sunday. However, there is no clarity on whether the government may be looking for alternate location, outside Ratnagiri for the project. Saudi Arabia’s participation in Indian Strategic Petroleum Reserve (SPR) Program was also discussed. Last month, Saudi Crown Prince Mohammed bin Salman had visited India, during which both the countries had decided to increase their tie-ups in petroleum sector. Saudi Arabia is the second largest supplier of crude and liquefied petroleum gas (LPG) to India. In 2017-18, India's crude oil imports from Saudi Arabia were 36.8 million tonne, accounting for 16.7 per cent of its total imports. During the meeting, Pradhan raised concerns about increasing trend in global crude oil prices. He also pointed to the need for uninterrupted supplies of crude oil and LPG to India in view of the recent production cuts by the OPEC. Both the ministers also discussed about possible adverse impact of recent geopolitical developments on global oil market. In November, Fadnavis had informed the state assembly that his government has stayed the process of land acquisition Global consulting giant Jacobs was already working on the configuration of the refinery, which is expected to be 30 per cent for petrochemicals.